Delicious and tasty organic crunchy fruits that have kept all their healthy nutrients thanks to our high end freeze drying technology. 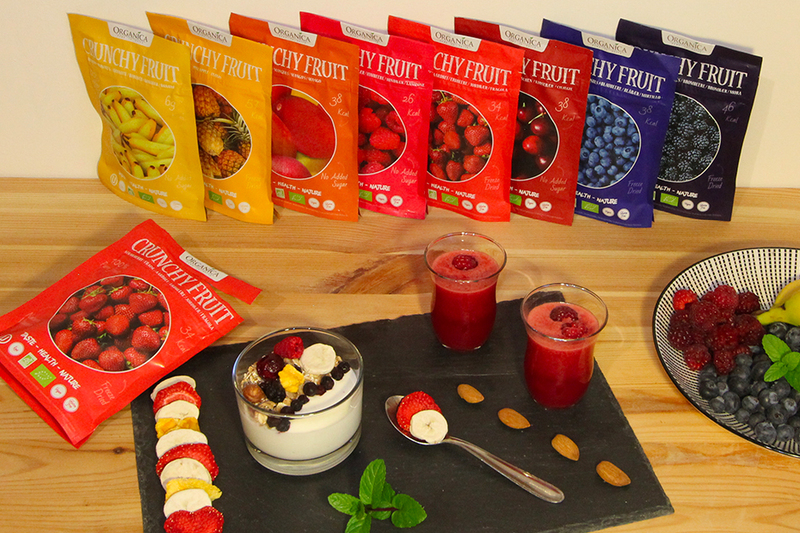 Perfect to replenish energy on the go or to be used as toppings on your cereal, yogurts, smoothies, cakes at home ! 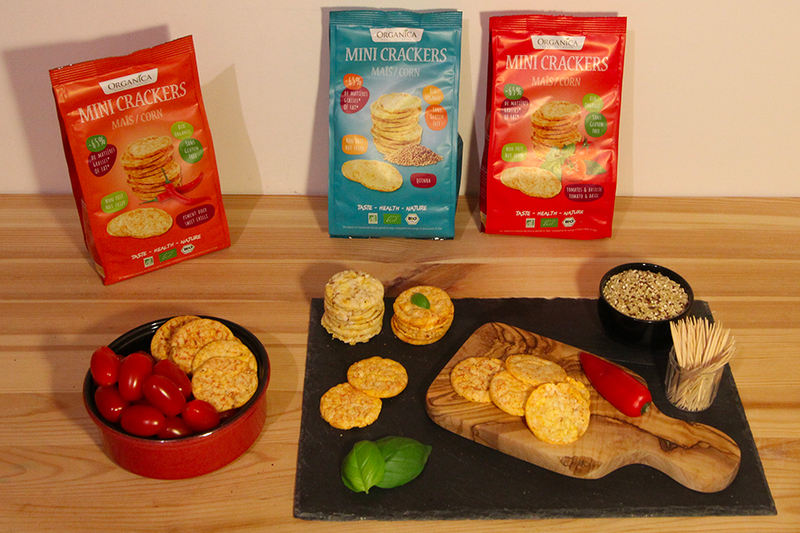 Our Mini Corn Crackers, unique in their kind, are organic, gluten free, and not fried. They contain 65% less fat than traditional chips. We are sick of watery tomatoes ! Organic agriculture respects the natural rhythm. It emphasizes quality and taste over quantity and mass production. Organic food contains more nutrients than conventional ones. Moreover, there are no pesticides or endocrinological agents which can modify the normal functions of the body. We do not inherit land from our parents, we borrow it from our children ! Organic agriculture does not use any pesticides to protect our lands, our rivers and preserve the future. 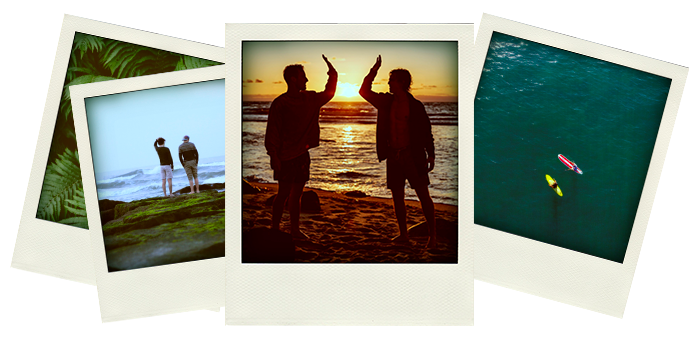 Foodies, sports addict and nature lovers, we have decided to unify our passions around a life project which allow us to share our values :to propose organic products which are healthy, nutritious and environmentally friendly. This is how Organica is born ! Did we miss anyhting ? Of course! Because we strongly believe that eating has to be a pleasure, our first concern is to make tasty products ! Do not hesitate to get in touch with us via our contact form !